Many of us use social networking sites, such as Facebook, to keep up with our friends and loved ones or to follow organizations or businesses that interest us. However, if you are a job-seeker, social media sites have other uses as well. Check out our article here on how to use social media to land a job. On the other side of the coin, potential employers are using social media sites to get a better look at job candidates and to assess their “fit” for a job or how good of an employee they’d be. Disturbing? Could be – depending on what you’re using social media for. 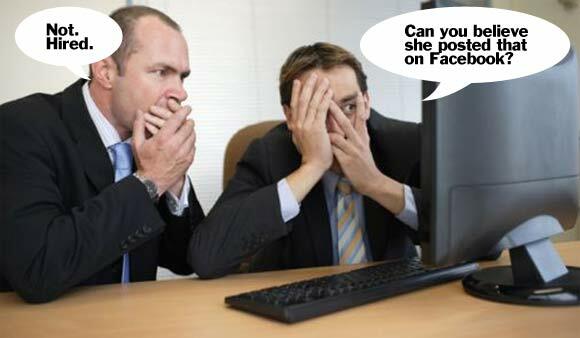 So, what sorts of things are potential employers looking for in your online presence? What profiles are they looking at and how often? Well, there was a study done on this just a few months back with some interesting findings. Simply from a recruiter’s standpoint (because that’s mainly who was surveyed here), importance is now being placed on content viewed on potential candidates social accounts. 42% of those surveyed have reconsidered a candidate based on content viewed on a social profile, leading to either positive or negative re-assessments. Things like profanity, grammar and punctuation errors trigger negative reactions among recruiters over 60% of the time. 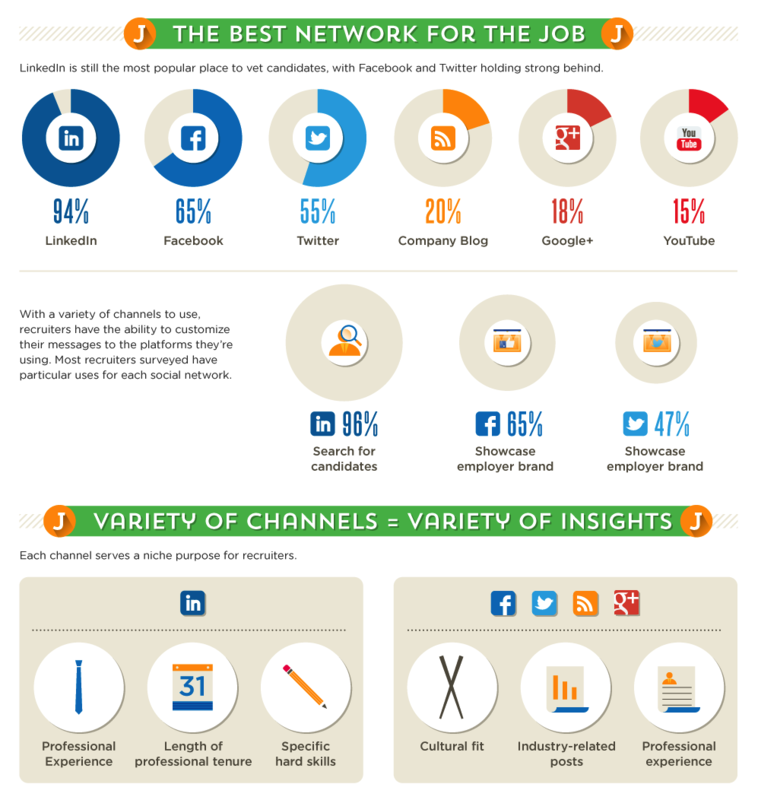 Over 30% of recruiters surveyed use Facebook to vet candidates both pre and post-interview. If you’re not on Facebook or Twitter, this doesn’t necessarily rule out scrutiny either. Potential employers and recruiters often expand their searches and vetting to now include: Blogs, Youtube, GitHub, Stackoverflow, Yammer, Instagram and much more. So what’s the lesson here? Simply that knowledge is power. Know that you are probably being scrutinized in more areas than just your fancy resume and how you perform on that job interview. If there is something that shouldn’t be on your social profiles, you can remove them. If friends post inappropriate things, you have the right to hide those from your timeline so that no one else can see them. This is your job search and you need to take control of projecting your most positive image in every way possible. I have had issues in the past where some of my profiles had some pictures on them that I didn’t want an employer to see. I wish I sorted this out before the interview. Thanks for these tips, I’m sure this will help anyone going out to an interview in the future. Has anything like this ever happened to any of you?